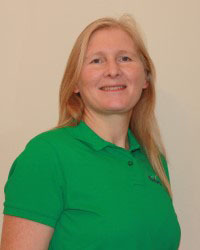 Rebecca graduated from the University of Wales, Cardiff in 1997 with a degree in Physiotherapy. During an 18 year military career as a physiotherapist she gained considerable Musculoskeletal Sports, Training and Occupational Injury experience. She worked alongside Orthopedic Surgeons and Sports Physicians to ensure the return to pre-injury activities and reaching performance goals. My journey to becoming a physiotherapist started when I received treatment for back pain as a Junior International rower, the ability to assist in reducing pain and enhance performance really impressed me. I joined the Military, having completed my Physiotherapy Degree, keen to work in a challenging environment with motivated individuals requiring high levels of performance. Although exposed to a wide range of injuries, they were predominantly occupationally related, either trauma or overuse, or as a result of training or recreational sport. Working in a Multidisciplinary Injury Assessment Clinic alongside specialists including Orthopedic Surgeons, Sports Physicians, GP’s, Podiatrists, and Sports Therapists, has given me an excellent understanding of the rehabilitation process and all the potential pathways available. My aim is always to deliver accurate assessment, diagnosis and appropriate treatment interventions. Utilising imaging, biomechanics assessment or onward referral to specialists as required. With a vast experience of Back, Lower limb and Shoulder problems, some chronic conditions will need more in-depth assessment of movement dysfunction and muscle imbalances to get to the real cause. In developing an individualised treatment plan I utilise a variety of techniques including soft tissue manual therapies, trigger point release, Pilates, mobilisation and pain management advice. I focus on maintaining a healthy lifestyle and keep active with my two children and walking our two dogs. As a keen horse rider I also have an interest in working with riders and their particular challenges. I believe in empowering clients through imparting knowledge and gaining self-awareness and I offer strategies to resolve their condition effectively and help identify realistic lifestyle adaptations in order to manage longer term conditions.